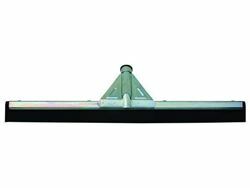 The 30" Floor Squeegee is perfect for keeping your garage, shop or any other floor you need cleaned up. The head of this squeegee is made of foam and not a hard rubber. The handle is not included with this squeegee head.